Summer is coming to southeast Idaho! As the temperatures warm up and we all start spending more time in the sun, much will be said about protecting your skin from harmful UV rays. While this is important, Dr. Gagnon is here to remind you not to forget about your teeth!Delicious treats are usually a staple of summertime fun, but they often contain high amount of sugar that can damage enamel and cause tooth decay. 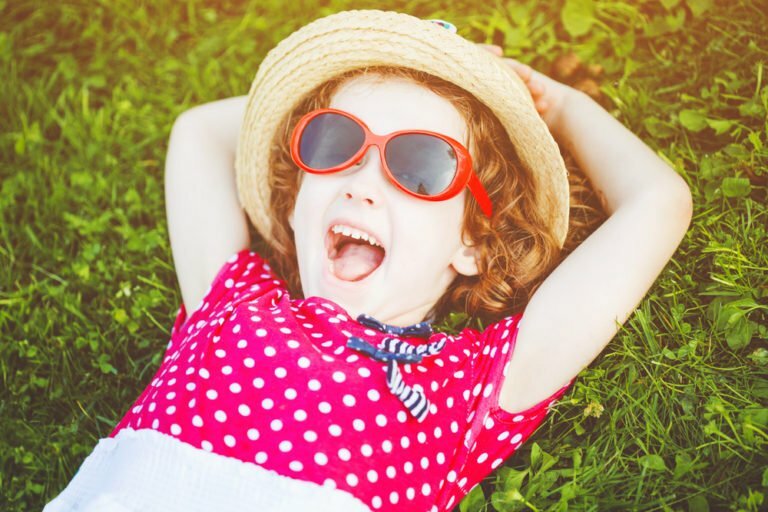 As always, Care Creek Dental has some suggestions of summertime treats to be aware of and great alternatives to help you enjoy the entire summer with a great smile. Everyone loves enjoying a cold treat on a hot day, but not all refreshing treats are created equal. Some summertime snacks use cold temperatures to hide extreme amounts of sugar. For example, popsicles,sports drinks, and soft drinks seem like great ways to cool down and replenish some electrolytes, but many of them are loaded with sugar, which could harm the outer layer of tooth enamel. This can eat away at the protective layer on the outside of teeth and expose the tooth to harmful bacteria that cause cavities. On top of the sugar, soft drinks also tend to be very acidic, which breaks down enamel as well. Another popular treat to be aware of is shaved ice. While also containing very sugary flavored syrups that can promote bacteria growth, some shaved ice has larger, hard chunks of ice that can cause damage to teeth if eaten in excess. Young children could especially be vulnerable when eating hard chunks of ice because it could cause teeth to crack or break when kids try to chew it. Like most things, summertime treats should be consumed in moderation. Popsicles, snow cones, sports drinks, and soft drinks are great to cool down with on a hot day, but keep track of how many you eat or drink so you don’t overdo it or your teeth may pay the price! Snacking frequently makes it easier for bacteria to grow in the mouth and form plaque. Limiting the number of snacks during the day can prevent cavities and keep teeth healthy. Be sure to drink plenty of water along after snacking to rinse out some of the sugar and prevent bacteria growth. The best option is to brush your teeth after a sugar snack!!! As always, regular oral hygiene practices like brushing and flossing daily are needed to prevent plaque buildup. Water is the best drink to quench your thirst and keep your teeth healthy. But if you want something sweet, consider natural fruit juices or sugar-free sports drinks. Natural fruit juices contain less artificial sugar that could break down enamel and harm teeth. There are also several delicious flavors so you don’t have to sacrifice flavor for the sake or your teeth! When it comes to snacks, crunchy raw veggies like carrots and celery are a great alternative to crunchy ice. If you’re in the mood for something sweet, consider fruits with natural sugar like watermelon or apples. Blended smoothies and smoothie pops also provide a tasty alternative without all the added sugar that can harm teeth. Another common sign of summertime is dehydration, or water loss. Our body needs adequate water intake to be able to function properly, and that applies to the mouth as well. Water helps rinse out sugar and other food particles that get trapped in the moth after eating. But water also helps our mouths make saliva, which fights off the bacteria that causes cavities. Recommendations for daily water intake depend on age, gender, and other lifestyle factors, so be sure to ask your doctor how much water you should be drinking on a daily basis and drink up! Too much time in the pool can lead to yellow or even brown stains on your teeth. Swimming more than six hours a week exposes teeth to chemically treated water. Chemicals in the water can break down proteins in saliva and form organic deposits on the teeth. These hard, brown deposits, usually appear on the front teeth. The good news is that they can be removed by a professional cleaning from your favorite dental professionals at Care Creek Dental. Summer is a great time for vacation, summer sports, and other fun in the sun. But while you are busy enjoying your summer, don’t forget to schedule your yearly oral exam! For all other questions and concerns, call us at 208-233-8620. Providing and Dental Care to Pocatello, Idaho and the surrounding areas.